Andrés Iniesta played his 600th game for FC Barcelona in Vigo on Sunday – an amazing milestone in the career of one of the greatest players ever to grace the game. A natural leader both on and off the field, the current first team captain grew up at Barça’s famous Masia academy and along with Leo Messi has won more major trophies, 29, than any other player in club history. 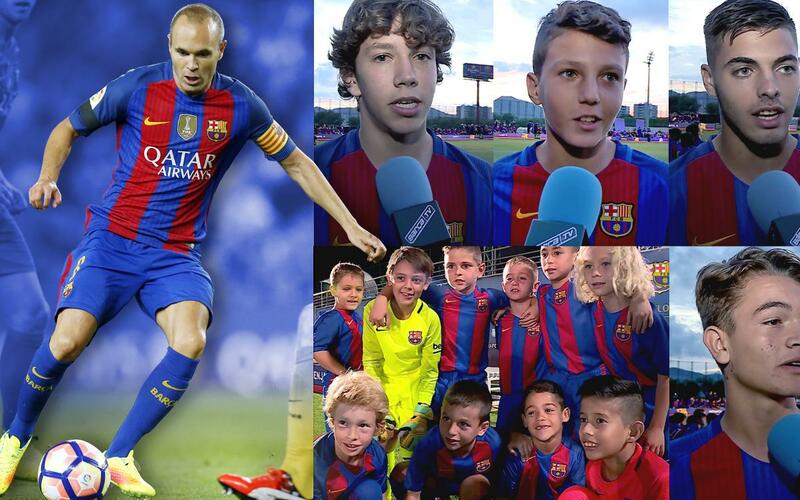 Iniesta has always set a fine example for youngsters around the world, and none more so than those in Barça’s own youth teams who hope to one day emulate his magnificent achievements. And this video is testimony of that, in which U12 captain Gerard Hernández, U16 vice captain Sergi Rosanas, U19 B captain Martí Vilà and U16 B captain Àlex Rico, as well as the whole pre-U10 team, pay tribute to the midfield maestro.